This 42 acre park includes a playground, basketball court, informal ball diamond, horseshoe pits, small shelter, picnic tables, benches, trails, wooded area and a small parking lot. This small 2.9 acre park has a wooded area, play equipment and a large grassy area. Although this park is only 1.9 acres in size, its amenities are plentiful. Facilities include two tennis courts, play equipment, a paved trail around the perimeter of the park, picnic tables and benches and an open grassy area. 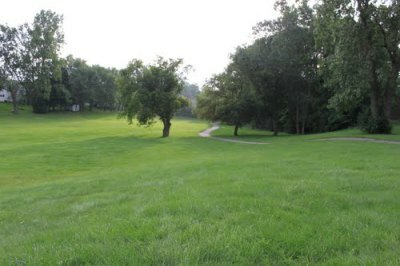 Located on the west side of the Township, this 10 acre park has play equipment, tennis courts, sand volleyball, a small shelter, picnic tables, benches, plenty of open space and a fitness trail around the perimeter of the park. This is a "natural" 6.6 acre park located on the west side of the Township. There is a paved trail running through the park with mature trees and a rolling terrain. This 3.6 acre park has play equipment, a picnic area, a small ball diamond, plenty of open space and a paved trail around the perimeter of the park. 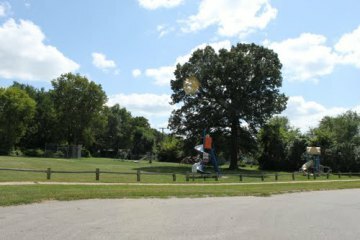 This 6.1 acre neighborhood park includes a playground, picnic area, ball diamond, trails, mature trees and open space. This 1.4 acre park is primarily undeveloped with a small amount of play equipment. Located on the north end of the Township, this quaint 2.6 acre park has a playground and plenty of open space for open play. This 5.0 acre park has playground, picnic areas, a large hard court area, shaded areas and plenty of open space. 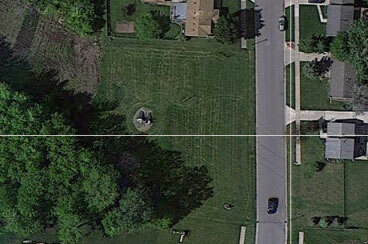 This .3 acre lot has play equipment. 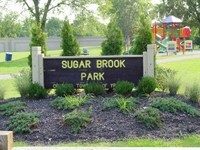 Located on the west side of the Township, this .8 acre park has open space and play equipment. Located next to Holmes Elementary School, this 4.6 acre park has a small ball diamond and a small soccer field. Although relatively small in size, this 2.5 acre park has many facilities including trails, a small shelter, playground, benches, picnic areas, a small ball diamond and two basketball courts.